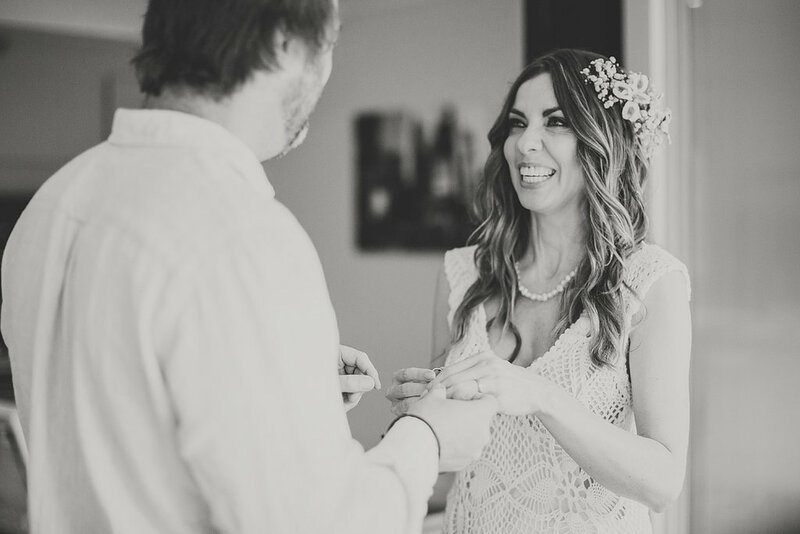 Private Property Elopements are a great option for couples looking for a short and simple or legals only wedding in Brisbane. 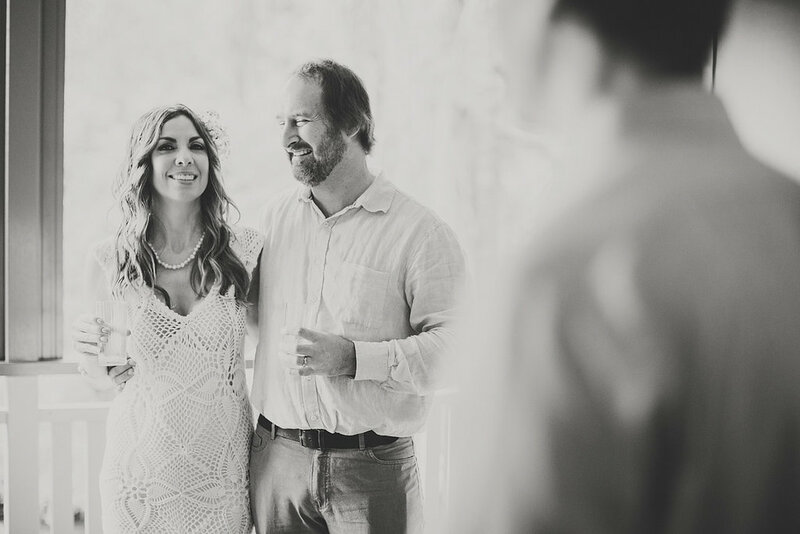 This couple enjoyed a relaxed and intimate legals only marriage with Celebrant Jamie Eastgate on the shaded deck of a private property. Jon from Blank Canvas Photography was on hand to capture this small and intimate legals only wedding ceremony. - Couples that are having their 'wedding' overseas but would like the legalities of their marriage to take place in Australia to simplify the process of their overseas 'wedding' (commitment ceremony) and to ease the process of having their marriage recognised in Australia and changing their name through marriage. - Couples that would love to simply be married and are in need of a budget wedding or cheap wedding option now, perhaps with the intent to throw a vow renewals party a few years down the track. 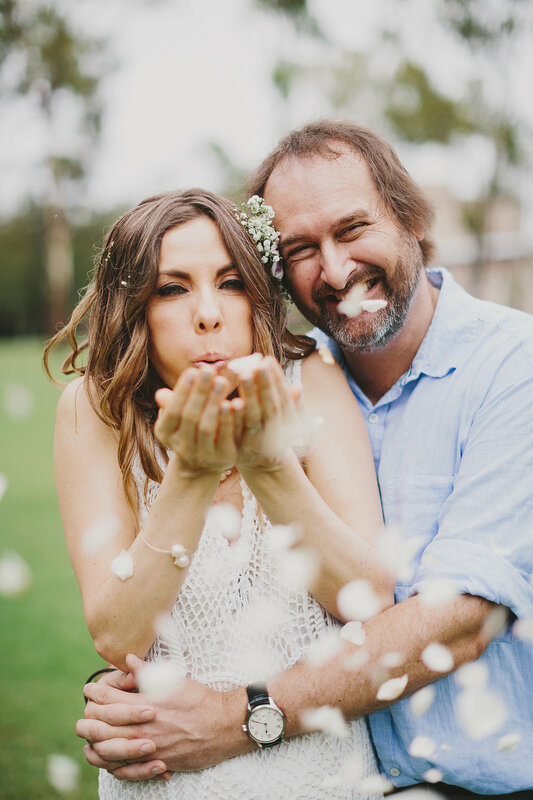 If this sounds like what you are looking for Contact Brisbane City Celebrants for more information and to confirm availability for your special day. Please Note: The marriage can take place anytime from 1 month after the date we meet. This is because the official marriage paperwork known as the NOIM must be completed and lodged with us (the Celebrant) no less than 1 calendar month before the date of your marriage. 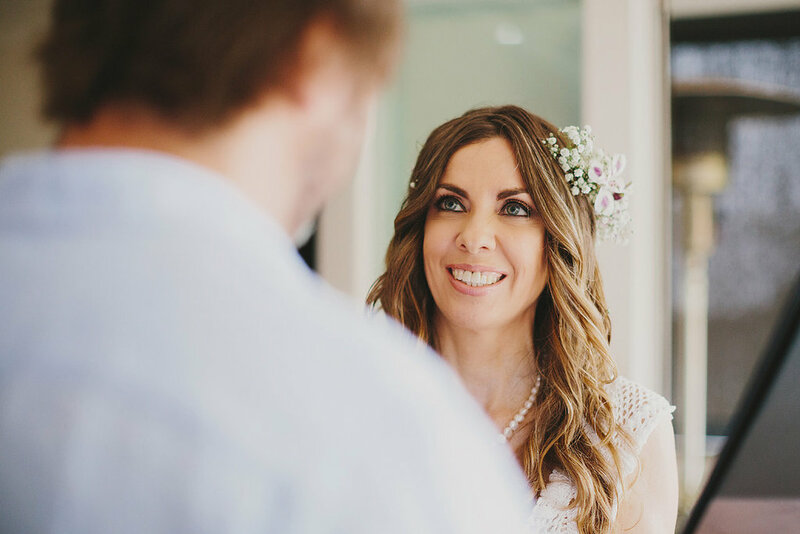 Contact Brisbane City Celebrants for more information and to start planning your very own legals only wedding in Brisbane. 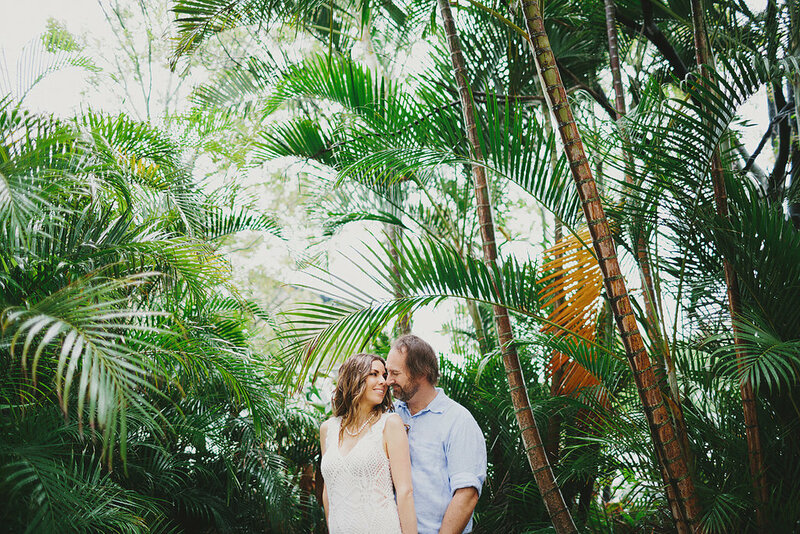 I loved being a part of this small and intimate Brisbane elopement. 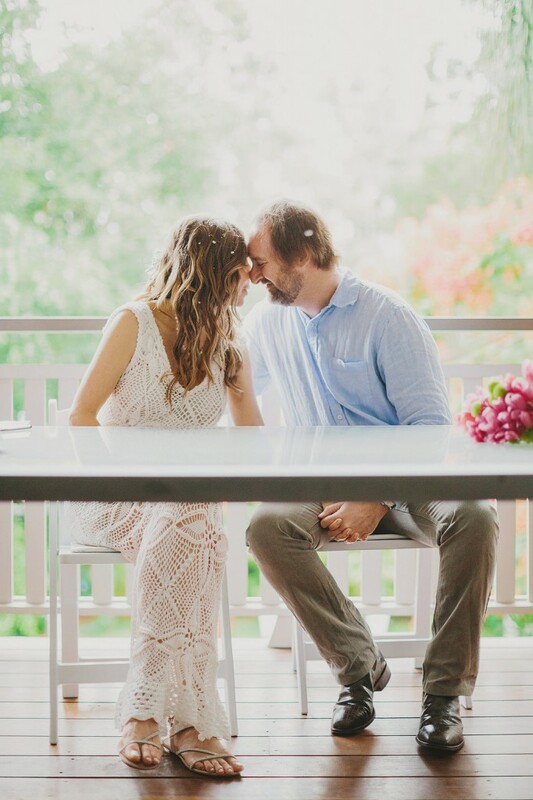 As it was raining on the day of their wedding, this couple brought their ceremony indoors to this sheltered deck and a professional photographer joined us to capture all the special moments. The wedding took place in the company of just 2 witnesses, the photographer and myself which made for a super relaxed, short and sweet ceremony. 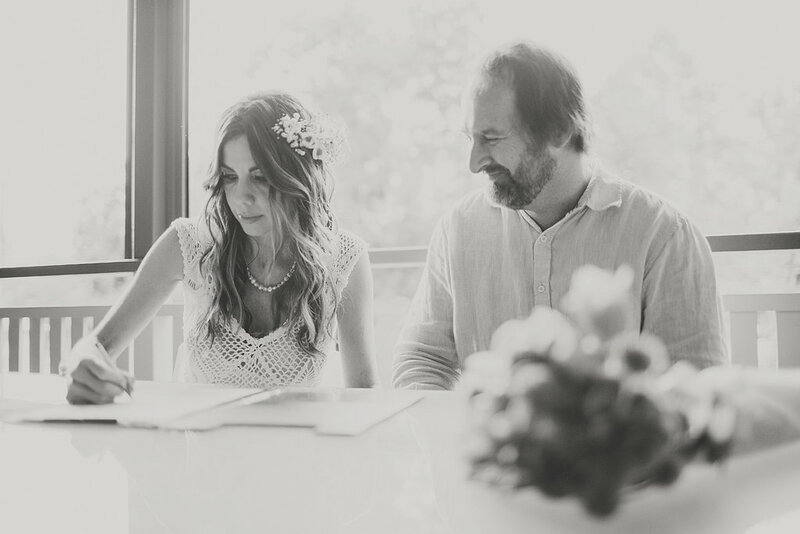 At the couples request the ceremony involved simply the legal wording, exchanging of vows and wedding rings. Within minutes they were married. 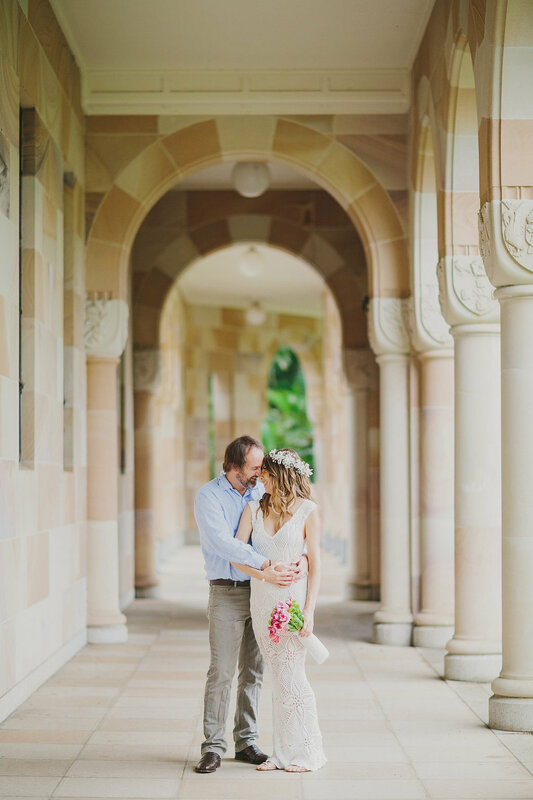 Following the ceremony the couple accompanied their Photographer to nearby UQ for a post wedding photo shoot where these stunning images were captured. 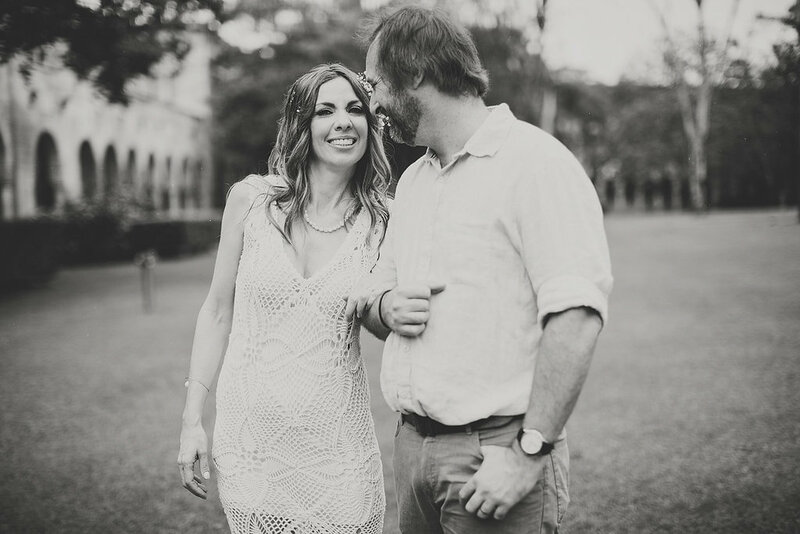 Brisbane elopement ceremony at a private property followed by photos at UQ. The newlyweds then celebrated with an intimate lunch for 2 at a nearby restaurant. Weddings don't get much more relaxed than this! 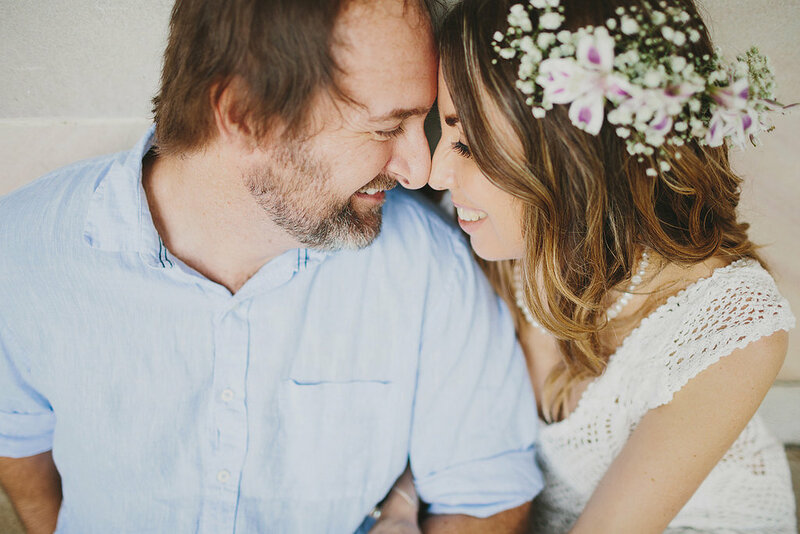 If you too love the idea of eloping in Brisbane with a simple and relaxed ceremony, Jamie Eastgate of Brisbane City Celebrants would love to hear from you.